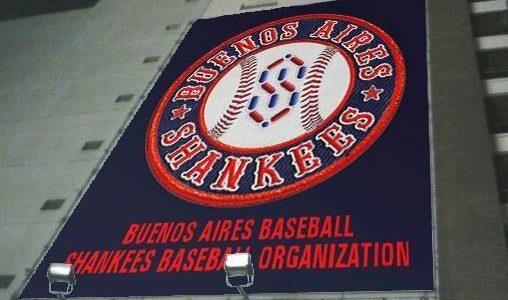 The Buenos Aires Shankees – Bringing Expat baseball to Buenos Aires since 2008! From April 14 – 22 the South American Baseball Championship will take place in Buenos Aires, at the Estadio Nacional de Beisbol in Ezeiza. Four nations, Argentina, Bolivia, Brazil & Chile will battle for a spot in the 2019 Pan-American Games in Lima, Peru, with the winner on route to the 2020 Olympic Games in 2020 in Tokyo, Japan. The South American baseball Championship is Argentina’s most important baseball event and this edition is particular crucial as it gives the Argentine National team, The Gauchos, a chance to flex its muscles without the presence of Venezuela and Colombia, who compete in the Central American Qualifying Group. The only team standing in the way is Brazil, who defeated Argentina in the 2016 finals. The Shankees are looking for their first win of the season when they host powerful Daom Beisbol Club this Sunday at the Stadium. Despite what has been a dismal run thus far for the Shankees, upon setting sail into the uncharted waters of the Liga Metro’s top division, things are starting to turn around. With an assortment of new talent in the likes of slugger Luis Ramos and pitcher Hector Cuicas, just to name a few, the Shankees Front Office hopes to salvage a few wins with only 8 games remaining. Regardless, team President Paul Perry, has already set his sights on the 2018 baseball horizon, looking to build a talent- packed squad with which to battle among the best in Argentina. The Shankees 15U squad continues to outperform its opponents and improve with every game. The youngsters have won the fourth straight game and are looking towards the playoffs with hopes of winning their first-ever division championship. The 18U squad continues to struggle while the 12U team is having a hard time fielding a team. “It’s not easy getting kids to show-up to the games. Some of the games are really far away, and that’s when it all depends on the parents,” states team President Perry. The local lore of rain and its forthcomings of good fortune shall be put to the test Sunday when the Shankees face Daom Beisbol Club in a top division battle. At 0-2 and a month into this season, the new batch of Shankees has spent the past 3 weeks watching the rain fall on game day. Manager Wilber Castro (a former Cuban National Team player and minor league coach), has taken on the task of turning a group of players from around the world into a high caliber team. Russian pitcher Dmitry Shtykher looks to carry the load along with battery mate Will Swindle from the German league. Outfielder Orlando Rebolledo from the Magallanes club in Venezuela, patrols the outfield with fellow countryman, Ricardo Lugo out of Iowa State, and Juan Ariel from San Cristobal, DR. Cuban players Carlos Fundichely from the Habana league and Julio Gomez, a Cienfuegos Metro league champion, are just a few members of this international team. ‘We’ve just acquired a former Texas Ranger minor league catcher from Venezuela,’ states Perry. By opening the doors to more international talent, the Shankees Front Office aims to continue laying down the groundwork for Argentina as the next hub for quality baseball south of the equator. Go Shankees! 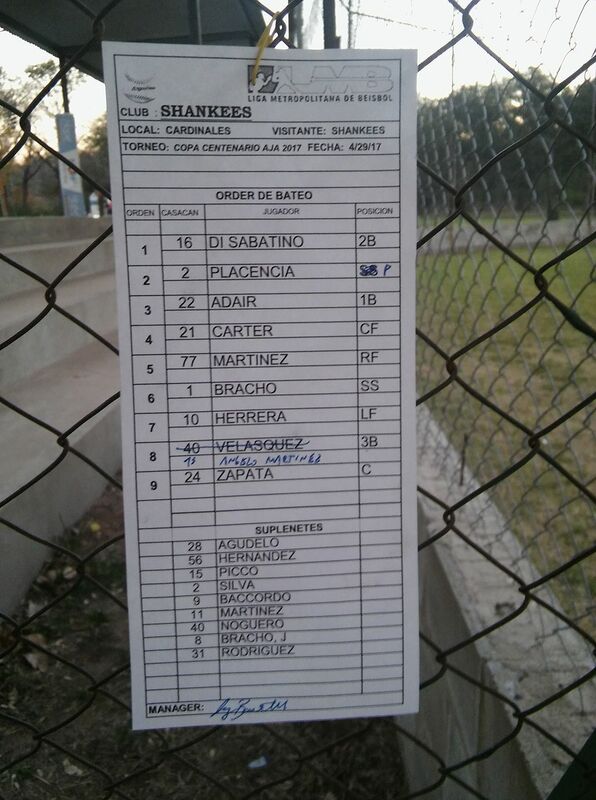 On Monday, August 21st, the Shankees debut in the A1 (Top 6) division of the Liga Metro. A totally revamped team will visit Velez Beisbol Club at field #2 of the Ezeiza Baseball Complex. A talent-packed squad of baseball players from diverse parts of the world; Canada, Cuba, Dominican Republica, Russia, USA, and Venezuela, will battle among the best in Buenos Aires Baseball. 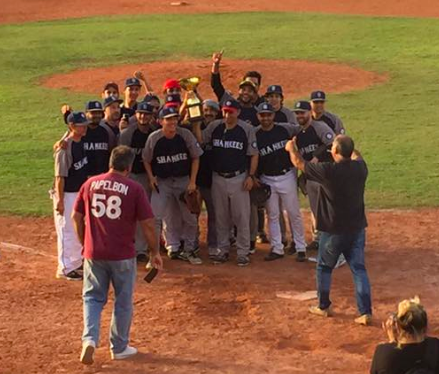 The Buenos Aires Shankees Baseball Organization marked another milestone in local baseball by adding to its baseball endeavors three-fully operational youth categories (U18-U15-U12) in the likes of the Aguilas and Angeles Beisbol Clubs. 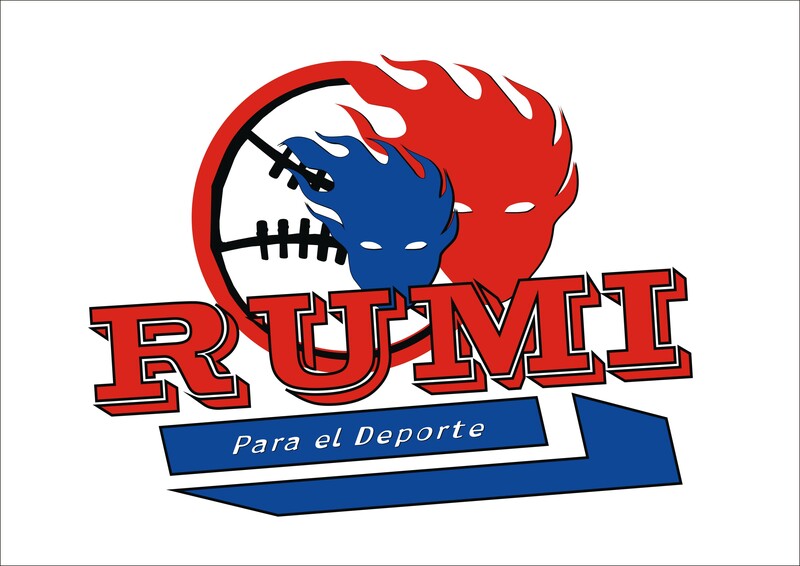 Through an agreement reached by Mike Figi of the Aguilas, Pablo Ludueña of the Angeles, and Shankee President Paul Perry, the Buenos Aires Shankees Baseball Organization commits to providing quality training and coaching to approximately forty kids (to date with number expected to rise) in the outskirts of Buenos Aires City. “This is a great chance for us to have a huge positive impact on local youth baseball, especially through our Imports Program that allows us to offer kids top-notch coaching and enhanced insight into the game,” states Perry. Mike Figi and Pablo Luduena for their part seemed thrilled to have the Shankees onboard with their youth program. ‘That’s what we were missing till now; quality training and dedication on behalf of those that know the game, and the Shankees will provide our kids the training and guidance they need,” states Ludueña of the Angeles. The Buenos Aires Shankees closed-out the 2017 season in epic style this Saturday by defeating the Cuban Almendares 5-3 in the A2 Division Championship game. Fabian Placencia pitched another gem as the Shankee defense held its ground. Aggressive base running and timely hitting led the Shankees offensively as they held on after giving up three runs in the first inning. This is the first division championship for the young Expat team, which next season will battle in the upper echelons of Buenos Aires baseball. The Shankees increased their winning streak to 9 with an 11-9 victory over the Dominican Cardenales in this second game of the three game olympic format series. The Shankees set the tone quickly in the first by scoring three runs off a Sammy Carter single up the middle with Fabian Placencia and Jeret Adair on second and third respectively. Fabian Placencia, who pitched another gem, crossed the 100 pitch count for the ninth consecutive time. The pitcher from the Florida Keys has been the Shankees workhorse all season and a key part of the team’s success. The Shankees rolled through the innings practically unscathed until the bottom of the 8th when things suddenly took a dramatic turn. With a comfortable 11-2 lead, Shankees manager, Jay Bartelli made a radical pitching change which led to a series of booming hits that saw 5 Cardenales runners cross the plate to put the game at 11-7. Enker Herrera entered half way through the eighth to put out the fire before the Cardenales could do any more damage. With run differential in effect in the event of a tie, every run allowed was crucial to the Shankees. The Cardenales tacked on another two in the bottom 9th but the Shankees held tough to close the game out 11-9. Highlight of the day was Jeret Adair going yard deep into the woods to bid farewell to his Shankees baseball experience. Reporting for the Shankee Press, Jack Green. The Shankees cruised past the Scrappy Criollos 6-3 at the Estadio Nacional de Beisbol and, not only won the first game of the second round playoff series, but extended their winning streak to 8-0.